Complete visibility around your case. In one place. 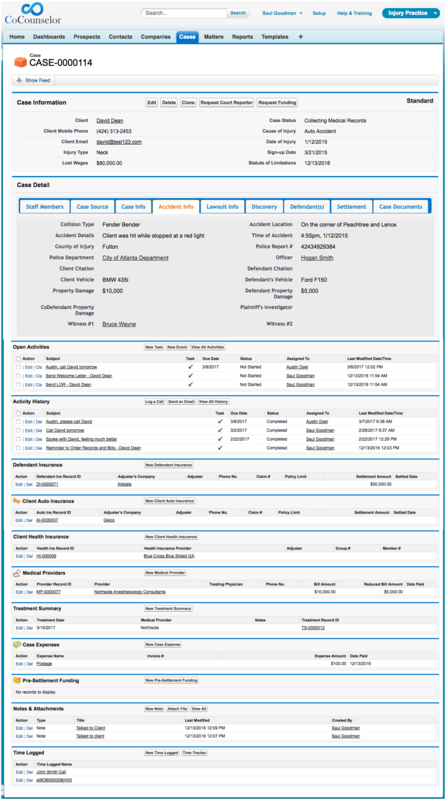 Managing your cases just got easier. Case Management takes up 90% of your firms time. Being able to to navigate quickly through your case management solution is incredibly crucial towards the growth, efficiency, and success of your firm. CoCounselor allows you to gain visibility into all aspects of an individual case without having to flip to other screens or apps. Important Case Details At Your Fingertips.